“BIG SLICE” OUT NOW IN EUROPE! 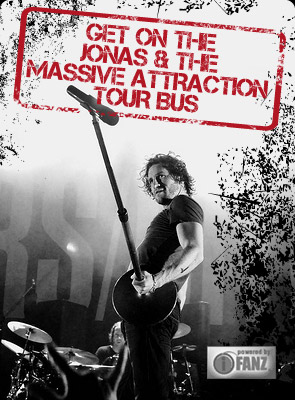 The new European release of Jonas & The Massive Attraction’s hit Cd “Big Slice” is OUT NOW in Europe on February 10, 2012, through Big Slice Records/H’ART Musik. Jonas & The Massive Attraction’s first single in Germany and Austria “Seize The Day” is getting GREAT response, with playlist adds to Rock Antenne in Munich and Welle 1 in Salzburg in the first week of release. The “Big Slice European Tour 2012” kicks off on February 25th in Copenhagen, Denmark at Beta and rolls through Germany, Austria, Switzerland and the Benelux in March in support the new release.